Wonderful place with an infinity pool in a great setting. Plenty of birds and wildlife. Very good food and friendly staff. We had a wonderful time and the place and staff were great. We had a wonderful time at Kalahe House! Everything was perfect. Visit of the monkeys every day and fireflies every night near the rice fields. Prasanga and his wife pampered us! Magical moment. It was a great time, we've spent there, in Kalahe house This house is located in a quiet spot, surrounded by a rice fields. It takes you only a couple of minutes to reach the bus stop, from where you get to Weligma beach or Galle by tuk-tuk or bus. Bedrooms are extremely comfortable, with cosy and soft beds and air-conditioner that pleasantly chill your room. On the yard, you will find three deck chairs. to take a rest, grab some cool drinks. If you are lucky, you may enjoy watching monkeys on the trees jumping here and there. Villa has a big living are with two coaches, big dinner table and, moreover, free WI-Fi. You may ask Dileepa to prepare some food-specific local cuisine and you won't find the tastiest thing at any other place in Shri Lanka. Perfect curry, various seafood and delicious deserts. He might also surprise you with the breakfast with fresh fruits and curd. If Ambalama villa is available, you can use it for extra charge. And I should say that it's a perfect place located right on the ocean shore, with nice and clean pool and the greatest picturesque view, that you could ever imagine. Thank you for such perfect accomodation. We really liked it and will make sure that every friend we know, visit your villa! What to point out is an exclusive service, prime location and reasonable price. The colonial style House is located in a beautiful, peaceful rural setting, a 15-20 minute Tuk Tuk ride from the city centre. 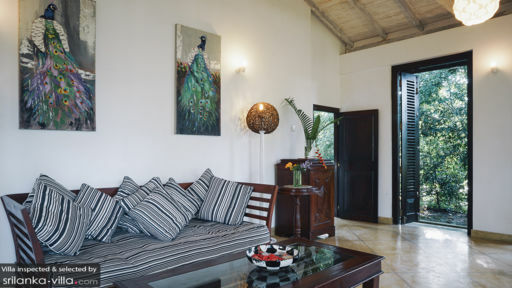 Rooms were large, comfortable and modern with colonial style decor and equipped with en-suites, fans and aircon. The common/dinning room had high wooden shutters that opened out to a view of tropical trees and paddy fields, a lovely environment for dining. We were particularly impressed by the friendly, courteous staff who went out of their way to help make our stay comfortable and very enjoyable. The meals were some of the best we experienced in Sri Lanka. Overall a very memorable experience. This is a beautifully restored colonial-style house situated in a secluded and raised location overlooking padi fields. In short, idyllic ! We were really impressed by the lovely internal spaces, all of which are surrounded by lush green forest. Our sunset arrival was quite magical and we immediately felt at home in the lovely living area which is surrounded by trees, literally. The bedrooms are all immaculate, with en-suites, fans and a/c. 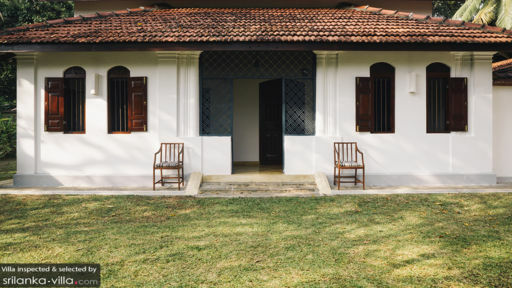 On the occasions that we ventured into Galle/ the beaches (call for a tuk-tuk), we couldn't wait to get back to the cool and serenity of the house !. Highly recommended if you're looking for a secluded retreat to read, relax and recharge. We were delighted with our find. Set amongst a beautiful environment, immersed in nature, the atmosphere was very peaceful and tranquil. A perfect place to rest and appreciate nature. The house is beautifully renovated with a very tasteful interior design throughout.The views through the large wooden doors, opening out towards the nearby paddy fields are stunning from the spacious living room area.The food was excellent and I would definitely visit again. 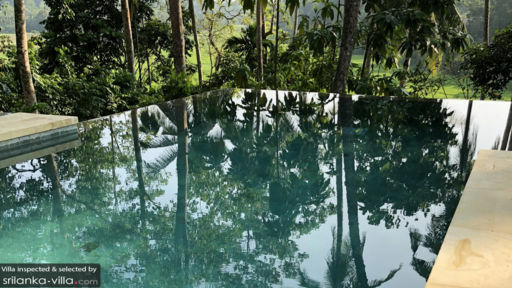 A perfect place to retreat to from the hussle and bustle of Colombo. Highly recommended!! !